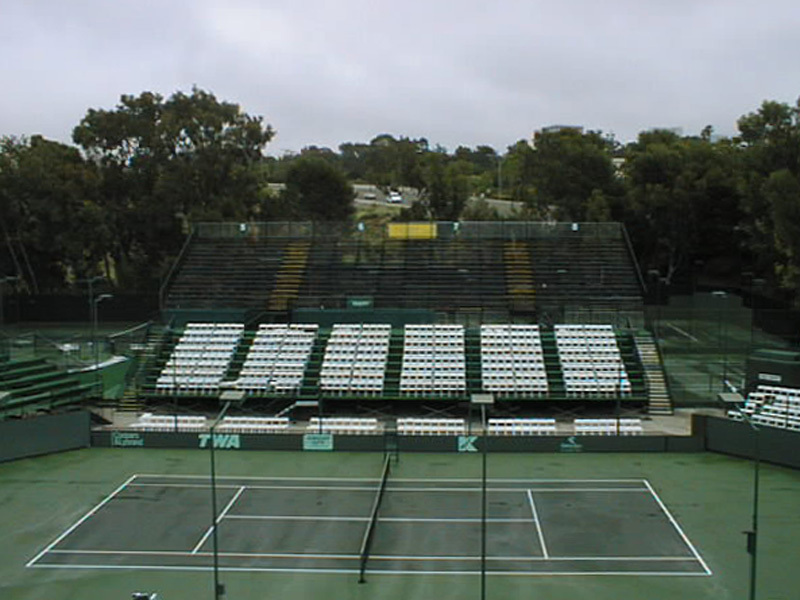 The basic Mike Brown Grandstands Chair Riser provides a series of tiered platform levels, each of which has a 36" run, and an 8" rise. 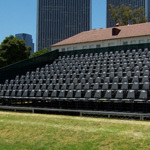 If a steeper pitch to the seats is desirable for your application we also have risers that have a 14" rise between rows. 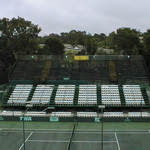 Included with a steep pitch system are the intermediate steps that are necessary to achieve a legal vertical aisle. 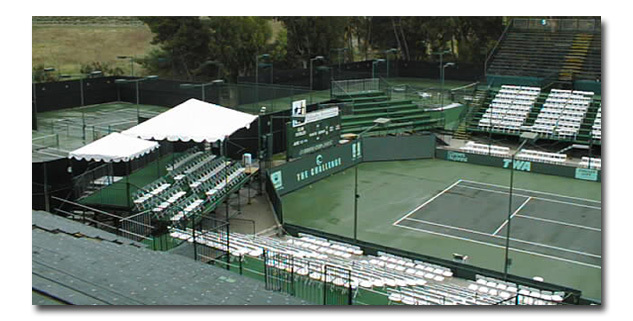 Consisting of wood decks supported by a modular fabricated steel structure, the risers are equipped with guardrails where required by code. 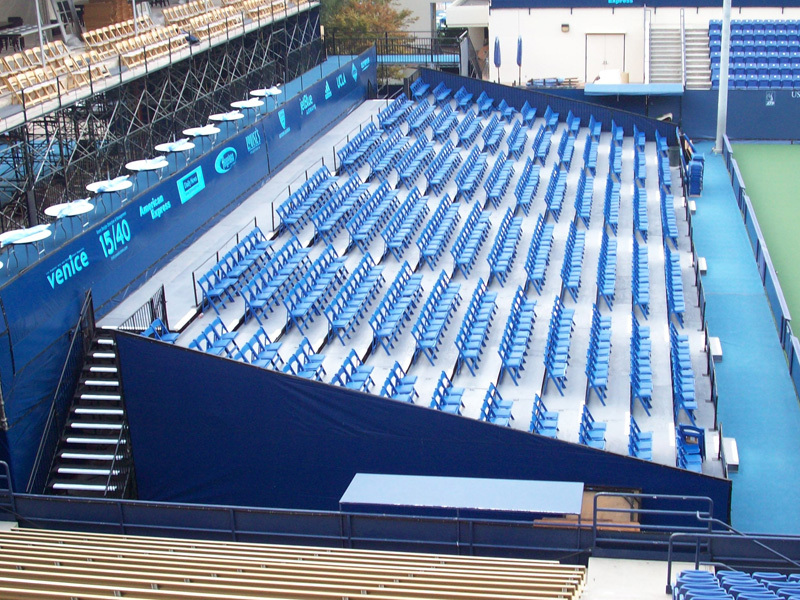 Risers can be can be ordered with an elevated front row and can easily be integrated with other MBGS systems for platforms, access stairs, and even elevators!. 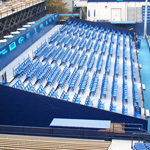 The completed risers can then be equipped with folding or padded stacking chairs. A selection of chairs is available from MBGS, or our customers can provide their own seats (remember that chairs in an area of public occupancy should always be tied together to comply with Fire Safety Code). 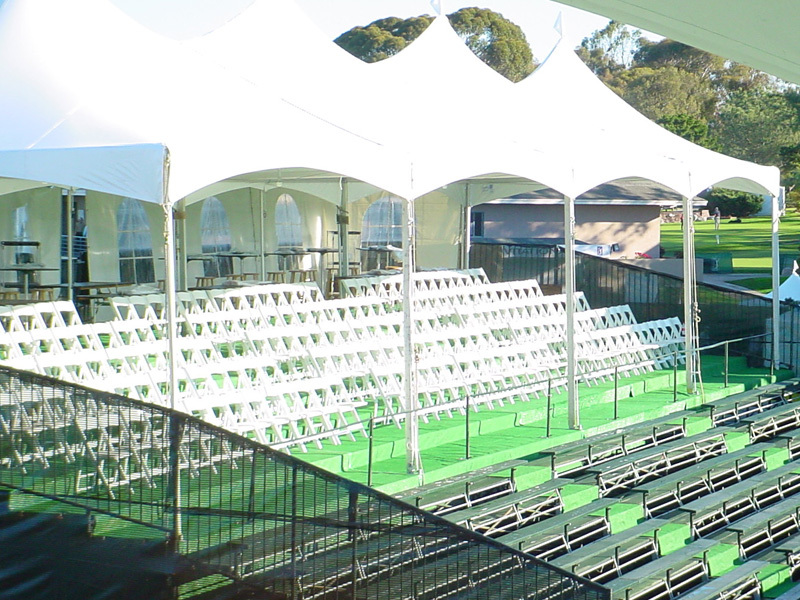 The standard riser will be finished with a plywood floor, although carpet is also available. 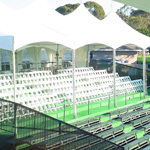 Regardless of whether you are suppling your own chairs, or are sourcing them from us, we welcome the opportunity to assist in planning the chair arrangement - helping assure that safe and legal access and egress is provided. 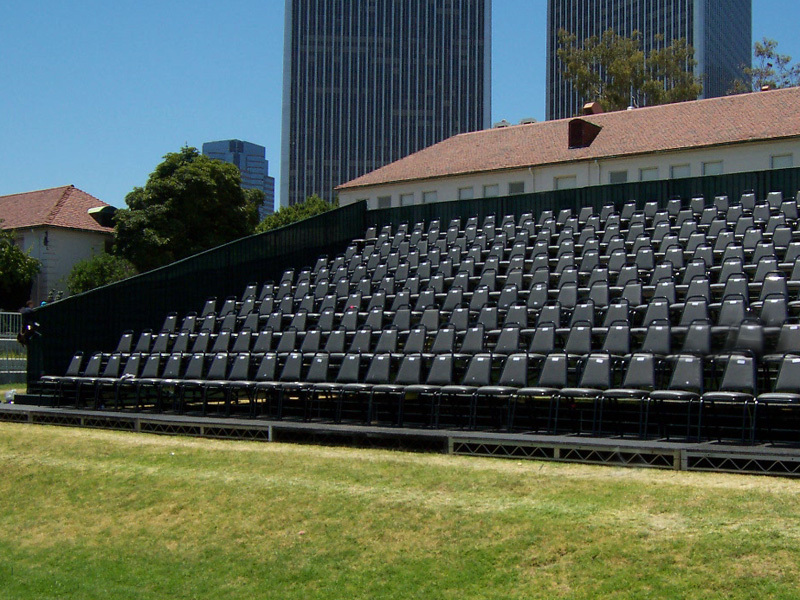 Whatever your seating needs, Mike Brown Grandstands has a bleacher to fit.